In 20 Years Will Hip Hop Exist In Its Original Form? This IS NOT a show about Classical Music. It's a thoughtful and honest conversation about Hip Hop between Jana Avery and Allan Fuller for No Fridays For Me. #CFAF64 — Is Sampling Theft or Art? If you're of a certain age and/or era it's hard to imagine Hip Hop without sports. There's a clear demarkation in time where Hip Hop and sports became inseparable to the visible public. In this episode we stumble on a deeper relationship between the two. 2Chainz "hiring" Lebron James to A&R his latest project, Rap Or Go To The League, coupled with an ESPN press run spawned a long overdue conversation. We started with Chainz but of course we broadened the topic to the relationship between sports and Hip Hop overall and over time. There's SO MUCH in this episode. I think we were pretty efficient though. We cover rapping ball players, ball playing rappers, Allen Iverson's impact, Rucker Park and a bunch more. Oh! Shout out to our guests on the episode. Check out Capri, "Nights In Tokyo" on all streaming platforms. And be on alert for @SelfMadeNuski, "Born Star" dropping 4/20/19. Preciate y'all for coming through and joining the talk.Yo Few Tang, hope y'all enjoy it as much as we did. Make room for the tag...#ConversateForAFew. 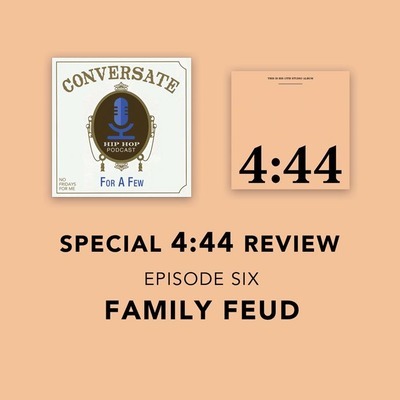 #CFAF61 — Did The Grammys Get It Right? #CFAF58 — A Boogie, Soulja Boy and Da Baby; Leaders of the New? #CFAF57 — Revenge of the Dreamers 3 Sessions; Hype or Hope? #CFAF52 — This Is Hip Hop's Greatest Era? Last week was the anniversary of the late, great emcee Prodigy from Mobb Deep. The impact Prodigy and Mobb Deep had on Allan and Jana from Conversate For A Few is immeasurable. From the liquor we drank, cars we aspired to have, drugs we sold or used. It definitely influenced the way we rapped. Bruh wrote a few songs to the soundtrack of our young lives. We owe him more than an episode for all he gave. Yet this is our offering. RIP P. Hold ya head Dun. We got a bone to pick...Nas? What the f#@k are you doing Man?!?! You gotta get GRILLED!!! It's outta love though Bruh. We couldn't give him a pass. I'm pretty sure y'all ain't gonna like us after this. Make room for the tag...#ConversateForAFew Oh! Major shoutout to chinK, Lou, and justus for calling in to share your take on the album with us! Honorable mention to the quiet assassin Jay who was in the building today during the recording and added on his thoughts to conversation; much appreciated! 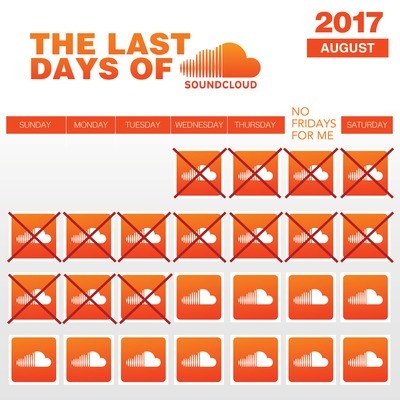 Frustrastions For A Few – Nas Rant? Conversate For A Few IS NOT a show about Classical Music. 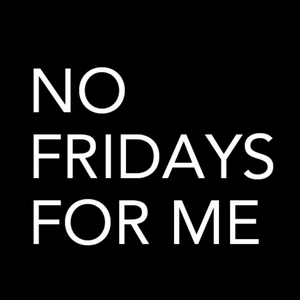 It's a show about Hip Hop hosted by Jana Avery and Allan Fuller for No Fridays For Me. This week we discuss the US Government's mandate for streaming services to pay more of streaming revenue to music publishers. But that wasn't the only big win for artists. We also get into it about Spotify and the addition of songwriter and producer credits for music on the platform. After listening back to this convo, I'm thinking Allan and I are a tad bit distrustful of the music industry and its players. Enjoy the show and don't forget to rate, comment, subscribe and share!!! Conversate For A Few got a gift in the form of a new intro song for the show! Frequent guest and Family of the show, Hustle From Raleigh drop a gem on us. The hook for the intro inspired us to do an episode giving you all the rundown on why we do the show, why we're qualified to do the show, what makes our show different and what to expect from episodes of Conversate For A Few. Be sure to subscribe, rate, follow, like and share the show. Enjoy!!! Conversate For A Few IS NOT a show about Classical Music. It's a show about Hip Hop hosted by Jana Avery and Allan Fuller for No Fridays For Me. This week we're fashionably late to the party. While everyone else got their year in review episodes in time enough to party for New Year's, we decided to wait until 2017 was actually OVER before we gave our take. Well it's over; and here's how we felt about it all! ENJOY! We invited in a few guests for this week's episode of Conversate For A Few. Take a bunch of Hip Hop Heads, give'em a mic and tell them to discuss ghostwriting and you get one helluvah episode. We have rants, strong disagreements, podcast rights being revoked; all in good fun lol. Leave messages, rate the show and subscribe. Let us know what you think of the episode. Conversate For A Few is a podcast from No Fridays For Me. This is NOT a podcast about Classical Music. It's a show about Hip Hop; cohosted by Jana Avery and Allan Fuller. This week we'll discuss whether or not Hip Hop needs sub-genres. If so, what are they!?! Follow the show at @ConversateForAFew on Instagram! 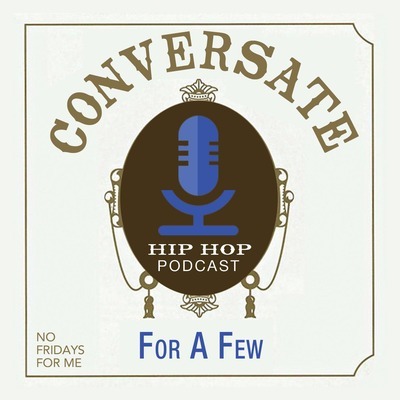 On this episode of Conversate For A Few, the Hip Hop podcast from No Fridays For Me, we discuss the financial woes of SoundCloud, the happenings around the cash injection made to the company by outside investors and how it may affect independent artists. I don't think we left any stone uncovered. Hell...we may have created "a few" new stones lol. Enjoy!